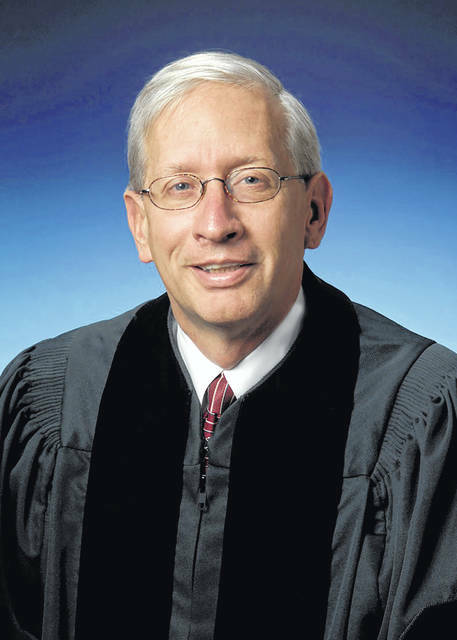 ASHLAND — Ohio Supreme Court Justice Patrick F. Fischer will provide a Constitution Day lecture on the topic “Why All Judges Must Matter to You” at the Ashbrook Center’s Major Issues Lecture Series. The event will be held on Monday, Sept. 17, at 12 noon in Myers Convocation Center on the Ashland University campus. Fischer’s legal career spans more than 30 years. After graduating from Harvard Law School and Harvard College, he began his legal career as a clerk for U.S. District Court Judge William Bertelsman. In 1987, he moved into private practice and quickly built a stellar reputation as a practicing attorney. As a respected member of the legal community, Fischer has previously served in leadership roles for the Ohio Bar Association, the Cincinnati Bar Association, and the Ohio Supreme Court’s Commission on Professionalism. Aside from his legal career, Fischer also serves the public as a member of several Cincinnati-area non-profit boards. He was a founding member of the Cincinnati Children’s Museum.